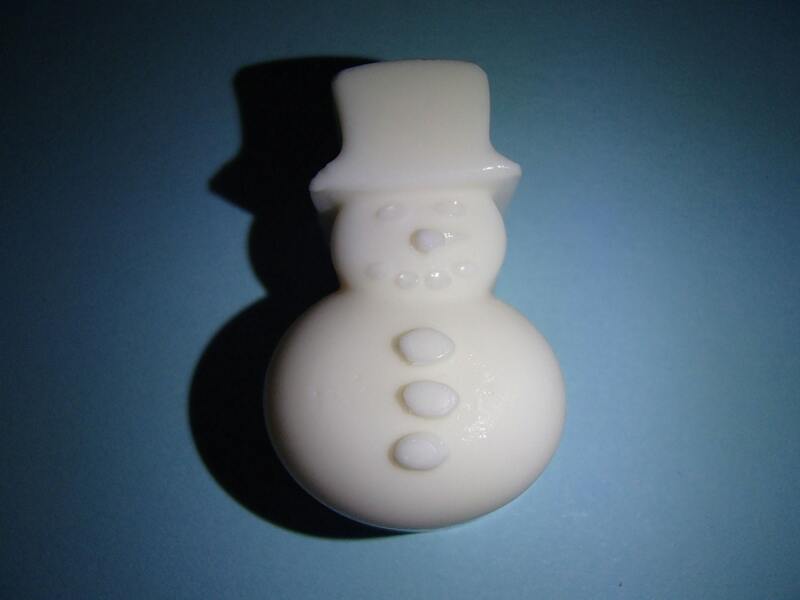 This is for 3 Snowmen Soaps that make a great holiday gift, party favor, or stocking stuffer. Each weighs ~0.5 ounces. Each measures ~1.5 inches in height, ~1 inch in width, and is ~1 inch thick. They are scented Let it Snow and colored white. This soap is a great gift for all Christmas and winter holidays. It is also great for using yourself during the Christmas season. It is also a fun shape for kids to use.